The Palace of Culture (Romanian: Palatul Culturii) is an edifice located in Iași, Romania. The building served as Administrative and Justice Palace until 1955, when its destination was changed, being assigned to the four museums nowadays united under the name of Moldavia National Museum Complex. Also, the building houses the Cultural Heritage Conservation-Restoration Centre, and hosts various exhibitions and other events. Located in the perimeter of the mediaeval Princely Court of Moldavia (from 1434), the construction was conceived as a rebuilding and expansion project of the former Princely Palace of Moldavia, dated to the time of Prince Alexandru Moruzi (1803–1806, architect Johan Freywald), and rebuilt by Prince Mihail Sturdza (1841–1843, architect Nicolae Singurov), from which it preserved the foundations and first floors. It was from this latter building that the Palace inherited the legend of the 365 rooms, as many as the days within one year. The Romanian architect I.D. Berindei was assigned to plan and conduct the rebuilding process. 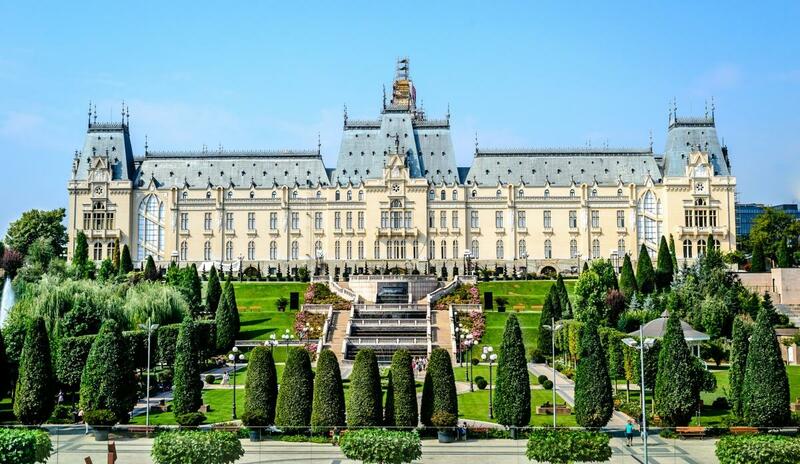 Unlike the old palace, built in a neoclassical style, Berindei chose to design it in a flamboyant Neo-Gothic style. Started in 1906–1907, the construction works were halted during World War I, due to the limitation of resources, but the unfinished building sheltered Romanian and Russian troops, and different public institutions and military hospitals. The monument was finally completed on 11 October 1925, and officially inaugurated one year later, by King Ferdinand I of Romania. The building housed the County Law Court and other public institutions until 1955, when it received an exclusive cultural function. During World War II, the Palace sheltered German troops, and then, Soviet troops. In 1975–1977, the wood bridging from the last floor was replaced with a cement one, fixed with steel netting. The new bridging sustained the monument during the earthquake of 1977, but the bridging from the first floor, the walls, the ornaments and the relief works were affected. One of the first theatrical performance in Romanian language, was organized by Gheorghe Asachi, and held in the capital of Moldavia, Jassy/Iași, on 27 September 1816. In 1834, a Romanian production took place in Iași on the stage of the Théâtre de varieté, built in 1832 for the French Fouraux troupe. 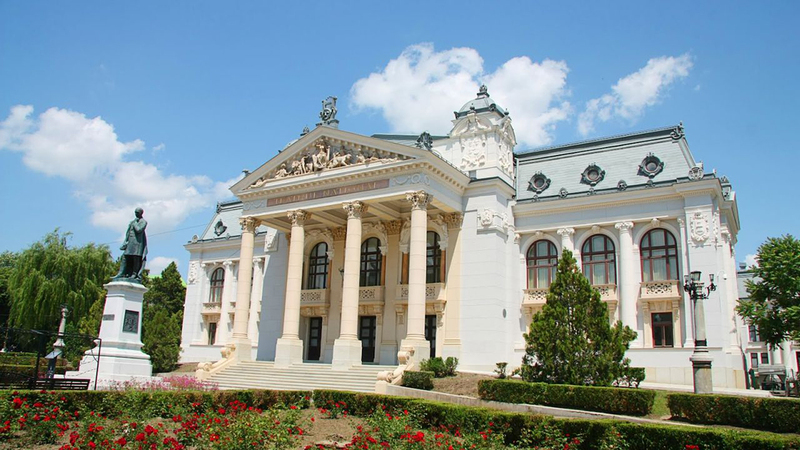 The National Theatre was founded on 15 May 1840, as the Great Theatre of Moldavia, when the Romanian language troupe, led by Costache Caragiali, was united with the French troupe, under a single direction of Vasile Alecsandri and the management of Costache Caragiali. On 22 December 1846, a new audience hall was inaugurated in the former mansion of Prince Mihail Sturdza, on the Hill of Copou. On the night of 17/18 February 1888, the theatre building was destroyed by the fire. The efforts to build the new theatre edifice culminated in 1894 when a contract was signed with the Viennese architects Ferdinand Fellner and Hermann Helmer, who designed several theatres and palaces across Europe, including the theatres in: Cluj-Napoca, Oradea, Timișoara and Chernivtsi (Romanian: Cernăuți). For the building work, a contract was signed with a Bucharest company, and the power station was built by a company from Berlin. The Theatre’s power station also supplied with electricity the 12 electric-arc lamps lighting the Theatre Square, marking the beginning of electrification in the city of Iași. The works to building took two years, and on 1 and 2 December 1896, the inauguration festivities took place with Flechtenmacher’s National Overture, the vaudevilles Muza de la Burdujeni (The Muse from Burdujeni) by Costache Negruzzi and Cinel-cinel (The Riddle) by Vasile Alecsandri, as well as the verse comedy Poetul romantic (The Romantic Poet) by Matei Millo. 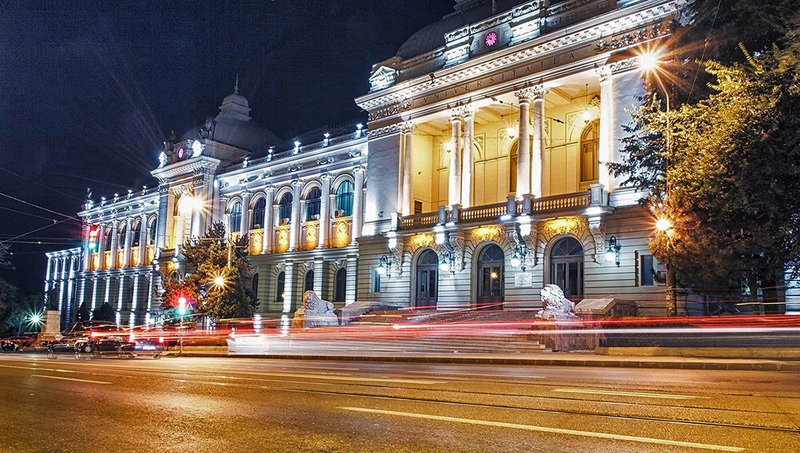 Nowadays, the building also hosts the Iași Romanian National Opera. The library was established on 8 November 1839 and opened on 23 November 1841, carrying on the tradition of the activity and fame of the old library of Academia Vasiliană, founded in 1640. Functioning closely with Academia Mihăileană, founded in 1835, it had the double character of a school library and a public library. In 1860, when the academy was transformed into the new University of Iași, the library became the Central University Library of Iași. 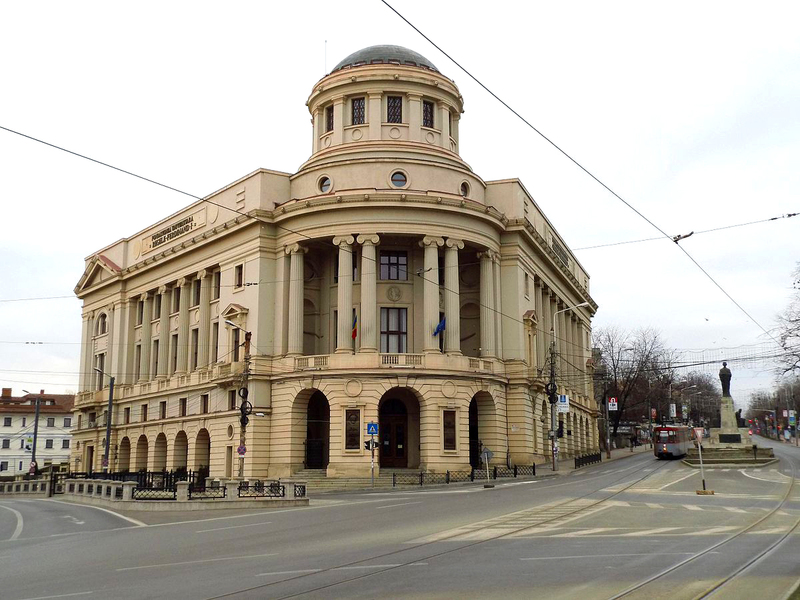 However, its university character was soon changed again, for in 1864 the Regulation for Public Libraries transformed it into the Central State Library of Iași, with a national library profile but also playing the role of a university library. This double character continued until 1916, when the library once again assumed its current name. The Dosoftei House is a building from the second half of the 17th century, in which in 1679 the metropolitan bishop Dosoftei settled the second typography in Moldavia. With two facades, arched and right-angled windows, the edifice was restored between 1966-1969. Here the old literature department of the Romanian Literature Museum was opened in 1970. Among the important pieces of the museum, one can count: a Slavonian manuscript, from the 14th century (1350-1380), a “Missal” printed by Macarie in 1508 (the first Romanian printing), the oldest copies of the Moldavia Chronicles, written by Grigore Ureche and Miron Costin, the “Homily” of the metropolitan bishop Varlaam (the first printing in Moldavia, 1643), the “Psalter” (1673) of the metropolitan bishop Dosoftei and a “Gospel” (1682) of the same bishop. During World War I (1916 – 1918), the Roznovanu Palace hosted the headquarters of the ministries and the political leaders refugees from Bucharest. 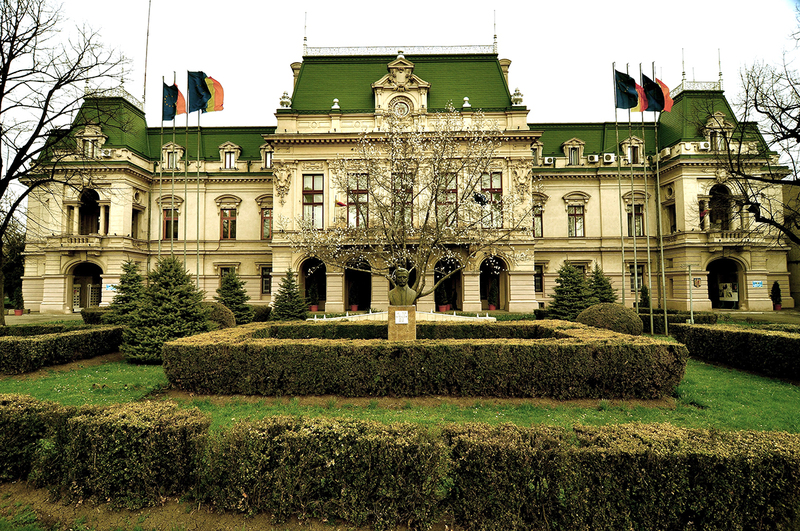 In 1918, the Romanian War Council met in the present Conference Hall of the Local Council. The administrative leadership of the city moves to the present headquarters again in 1969.Today, in the former dance room of the Roznovanu family, the meetings of the Local Council are held, as well as other events of the City Hall. The Alexandru Ioan Cuza University is a public university located in Iași, Romania. Founded one year after the establishment of the Romanian state, by an 1860 decree of Prince Alexandru Ioan Cuza, under whom the former Academia Mihăileană was converted to a university, the University of Iași, as it was named at first, is the oldest university of Romania, and one of its advanced research and education institutions. The foundation, in 1835, of the Academia Mihăileană is considered a landmark in the history of Romanian higher education. The Academia Mihăileană was created under the auspices of Prince Mihail Sturdza (hence its name), striving for progress and for “meeting the standards of the enlightened Europe”. Three faculties were set up: the Faculty of Law, the Faculty of Philosophy and the Faculty of Theology and the curriculum resembled to a great extent that of Austrian and German academies. 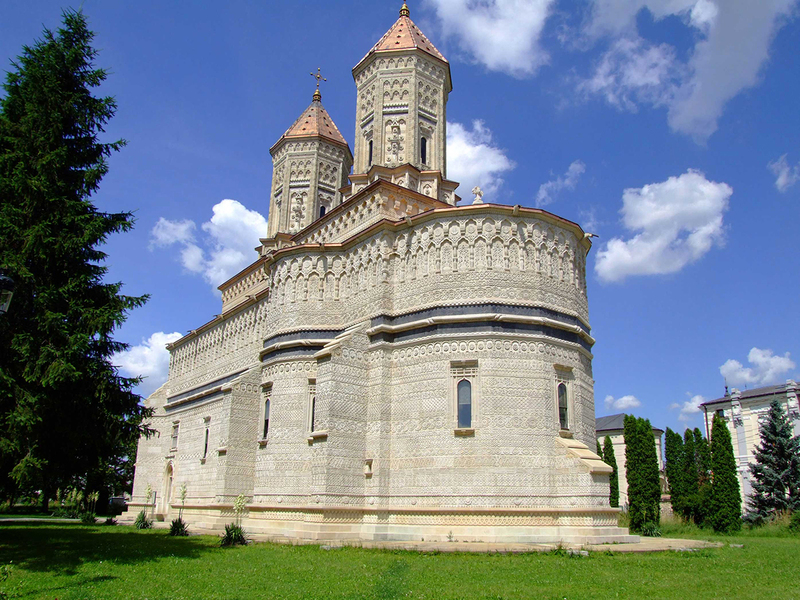 The church was erected between 1637 and 1639, in the Moldavian capital, in honour of three saints (Basil of Caesarea, Gregory of Nazianzus, and John Chrysostom), and was blessed by Bishop Varlaam. 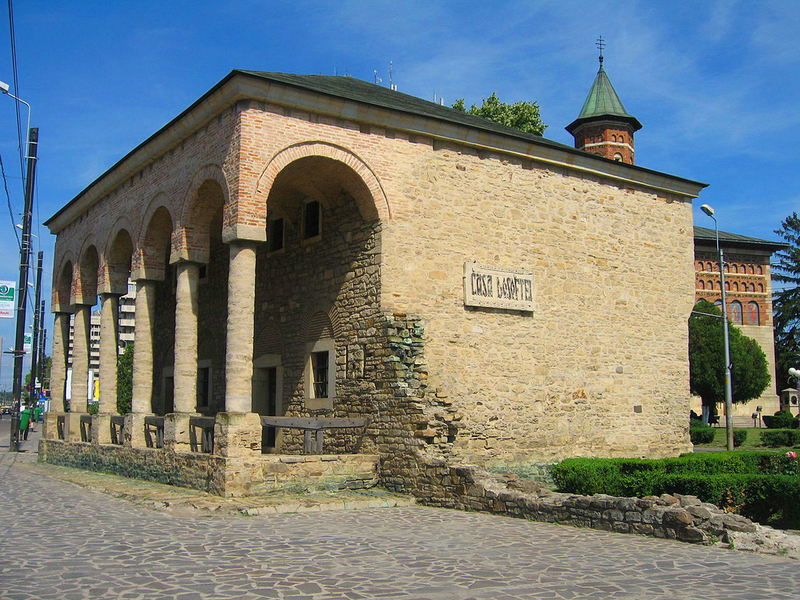 In 1640, Prince Vasile Lupu, the renowned defender of the Orthodox Church, set up here the first printing press in Moldavia and the Vasilian College, a higher education institute. In 1643, the first volume ever printed in Moldavia was issued in Iași. The Trei Ierarhi Church was dedicated by Vasile Lupu to the 20 monasteries on Mount Athos. Several Romanian royal figures are buried inside the church: Tudosca (Vasile Lupu’s first wife) and Ștefan Vodă, their son; prince and scholar Dimitrie Cantemir (1673–1723); and Alexandru Ioan Cuza, the first ruler of the united Romanian principalities (1859–1866). Two churches previously stood on the site: the White Church (15th century) and the Presentation Church (17th century). On 8 August 1826, prince Ioan Sturdza signed a decree ordering construction of the cathedral; Metropolitan Veniamin Costache laid the cornerstone on 3 July 1833 and guided construction in its early years. Work began in 1833, using a neo-classical design by Viennese architects Gustav Freywald and Bucher, and continued at a rapid pace until 1841, in the latter years under the Russian architect Mihail Singurov. In 1839, after it was completely built and covered, serious cracks had appeared on the large central arch. Various solutions were attempted (in 1840 Singurov replaced the brick ceiling with wood, for example), but on 23 May 1857, the ceiling collapsed taking the interior columns with it, and the building remained ruined for decades. 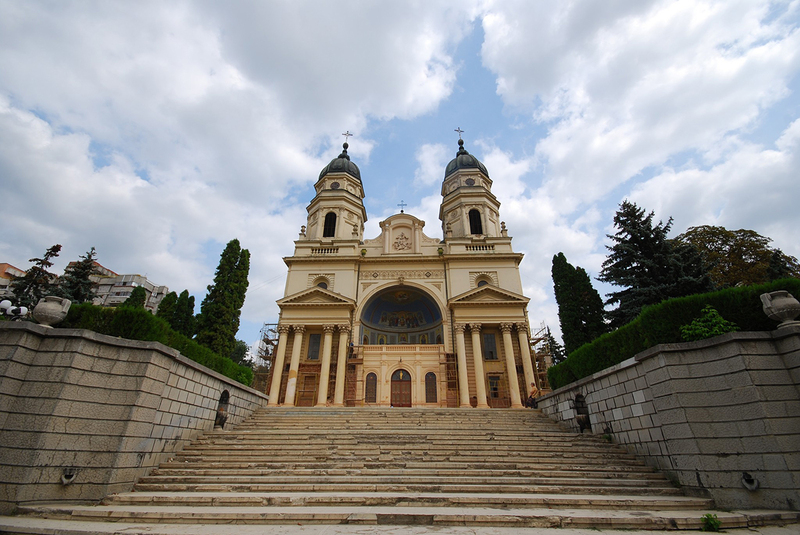 At the urging of Metropolitan Iosif Naniescu (1875-1902), the newly independent Romanian state decided to start the restoration work of the cathedral. A new cornerstone was laid on 15 April 1880. Architect Alexandru Orăscu, rector of the University of Bucharest, designed new plans that added two rows of massive pilasters to the interior, creating a rectangular basilica shape, with a central nave and two smaller side naves. The four detached side spires were kept, but the large central dome was eliminated and replaced with a system of four semicircular sections, separated by transverse arches. 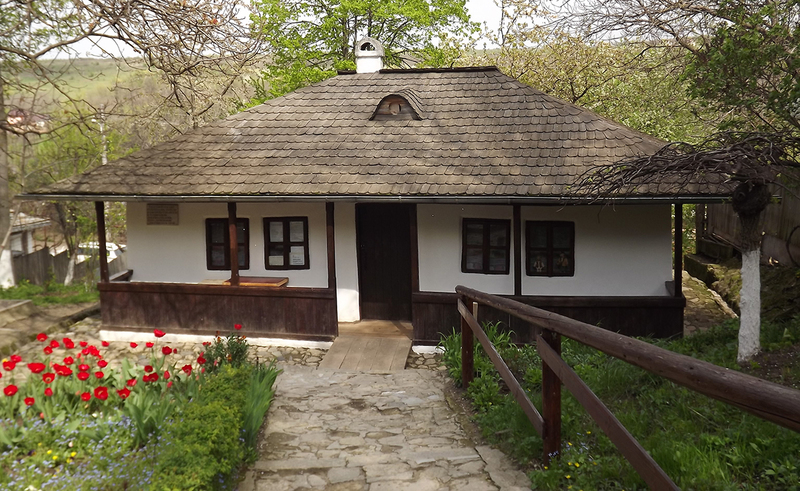 Ion Creanga’s hut of Ticau, in the town of Iasi, the first literary memorial museum in Romania is one of the 12 objectives making up the Iasi Romanian Literature Museum. Surprisingly, the aspect of the old Iasi district, 1 kilometre away from the Unification Square (the city centre), the steep relief (alternating between hill and valley reminding of the typically Romanian space theorised by the Romanian poet and philosopher Lucian Blaga) gives one the impression of being in a faraway village. There lived Ion Creanga (1837 – 1889), the greatest, most famous and beloved Romanian story-teller, from 1872 to the 31st of December 1889. There he met and made friends with Mihai Eminescu (1850 – 1889), the greatest Romanian poet. The Iași Botanical Garden, now named after its founder, Anastasie Fătu, is a botanical garden located in the Copou neighbourhood of Iași, Romania. Established in the year 1856 and maintained by the Alexandru Ioan Cuza University, it is the oldest and largest botanical garden in Romania. In 1856, in the immediate vicinity of Râpa Galbenă, Anastasie Fătu founded the Iași Botanical Garden with land bought using his own funds. In 1873, stimulated by interest expressed in Anastasie Fatu’s garden, the Physicians and Naturalists Society founded a second botanical garden near the society; the second garden is now the natural history museum. In 1870, the Grigore T. Popa University of Medicine and Pharmacy (then University of Iași) created its own botanical garden on a piece of land located behind the University. In 1900, after five years of pleading from Professor Alexandru Popovici, the University asked for land near the Palace of Culture to establish a new botanical garden there. Repeated attempts to obtain the necessary funding to realize this garden proved fruitless. In 1921, Alexandru Popovici organized a new botanical garden on land located at the back of the new university building. This garden served the botanical education over forty years, until 1964, when it was eventually moved to its current location in Copou, under the supervision of Professor Emilian Ţopa. The Iaşi Botanical Garden is currently involved in the conservation of eighty-five separate species included in the Red Book of the vascular plants from Romania and in the International Conventions. It is also in partnership with in-site conservation programs developed for plants species from the Carpathian Mountains and the Danube Delta. 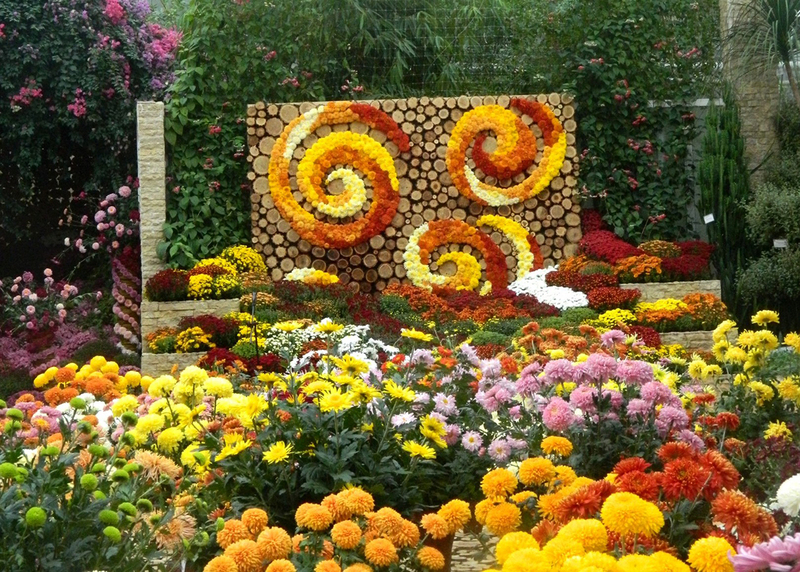 The Botanical Garden co-operates with partners from Romania and abroad. Since 2009, it has been a member of the International Plant Exchange Network.